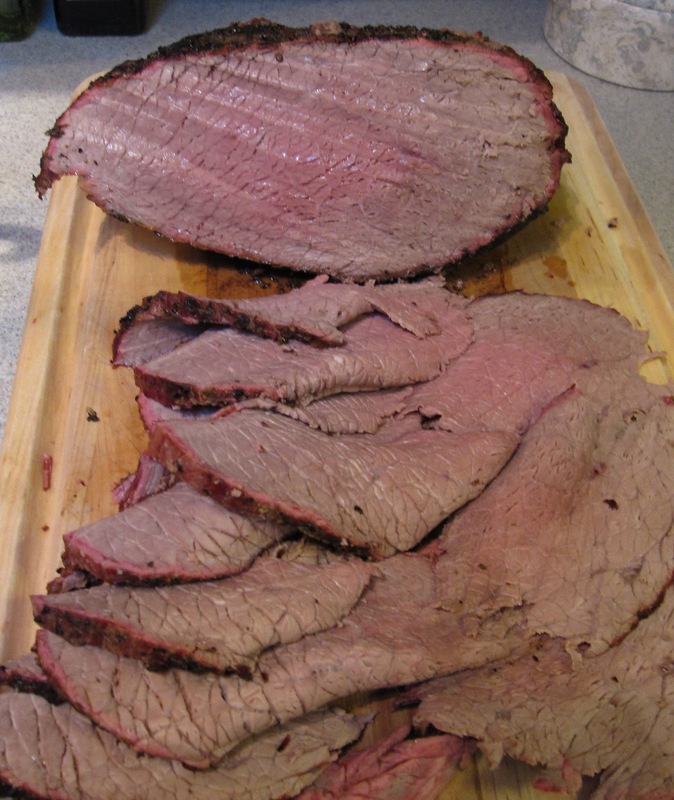 My latest beef experiment was a top round roast. 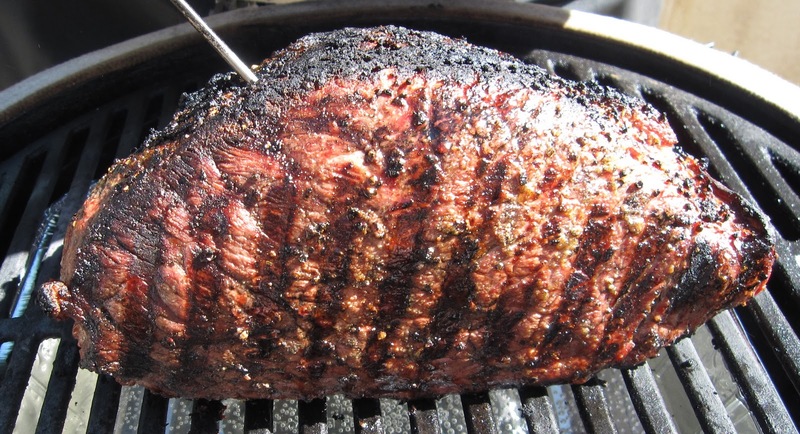 I saw a place on Man v Food that cooked a roast beef on grill over charcoal, it looked really good. I thought it would be easy to cook a roast on my egg. Well I was half right, cooking it was easy, getting it tender and medium rare was not as easy. I started out with a 5 pound top round roast. It looked really lean and did not have a fat cap on it. I seared the roast on each side for about 6 minutes per side at about 500 – 550 degrees. Then I dropped the heat to about 250 and let it finish cooking. I thought it was going to take about 3 1/2 hours to cook and it was done in about 2 1/2 hours, so I let it rest almost an hour. The long rest time caused over cooking. I was okay with the over cooking, it was the toughness of the meat that pissed me off. I’m not sure if it was the cut or my over cooking. Even though I was not happy with my roast it still tasted pretty good, we ate it for dinner that night and finished the rest of it off in sandwiches a few days later. They say doctors bury their mistakes, I eat mine.